The rise of vaporizers is undeniable. And not without reason. Buying a vaporizer is an investment for your lungs, as clinical studies show vaping is much healthier than smoking. From portable vaporizers to futuristic desktop models; at the Dutch-Headshop we have a broad collection of vaporizers for any budget. Evaporation is the healthiest way to enjoy your herbs, marijuana or cannabis. Because in a vaporizer herbs and cannabis are not burned, but evaporated, fewer harmful substances are released. 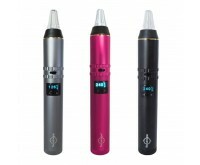 Because of the healthy characteristics of vaporizers, vaping is increasingly popular for the use of beneficial herbs or smoking weed. In most coffee shops even a vaporizer, weed or marijuana is ready for use for the visitors. Vaporizers are increasingly being used by medical users. 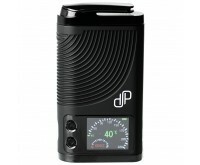 Vaporizer are mostly used to enjoy THC, CBD, CBG and other active ingredients of cannabis, marijuana or herbs. By vaporizing cannabinoids instantly, you ensure a gradual intake, which is easy to adjust to your personal needs. 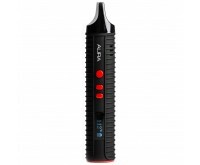 Vaporizers with a configurable temperature are particularly suitable for medicinal use. The uptake goes directly via the lungs. Therefore, the moment you've inhaled enough of the active ingredients is very clear. In some cases, and on doctor's advice, vaporizers such as the Volcano can be declared under health insurance. Always check if this is an option with your health insurer. You want to buy a vaporizer? At the Dutch-Headshop you are at the right place. 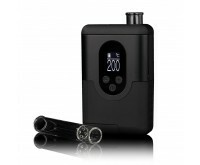 Order your vaporizer still today and it will be shipped today.